The 2018 Community Leadership Series is underway! We hope that you will join us for our next FREE webinar on Tuesday, May 22, 2018 from 11:30 a.m. to 1:00 p.m. (CST). Critical Thinking for Racial Literacy is a new topic to be included in our series. It is a great place to start for people who want to explore the topic of race in their lives and explore the questions they've had about race. Minnesota communities are rapidly diversifying. Every community member has a role to play in what happens next. so how can we improve our thinking, especially when it comes to issues of race? This webinar breaks down the key elements of critical thinking to examine some of the basic concepts and misconceptions about race and Minnesota communities. 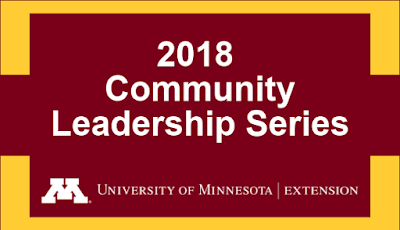 The session is presented by Fernando Burga, assistant professor at University of Minnesota's Humphrey School of Public Affairs, and Eriks Dunens, statewide Extension educator in leadership and civic engagement. Register at https://z.umn.edu/criticalthinkingforracialliteracy by May 14, 2018.